Today in Masonic History Benedict Arnold passes away in 1801. Benedict Arnold was an American soldier, British soldier and traitor to the American Revolution. Arnold was born on January 14th, 1741 in Norwich, Connecticut. He was the only surviving son of his parents and had one sister. His family was wealthy, both on his father's side and mother's side. When his siblings passed away from yellow fever his father was devastated and turned to alcohol. His father squandered the family fortune. Matters became worse when Arnold's mother passed away in 1759, his father became so distressed that he drinking became worse until he passed away in 1761. In 1755, Arnold first attempted to join the Connecticut Militia. Being too young, his mother refused permission. In 1757, he signed up again and was accepted into the militia. The militia marched toward Fort William Henry, which was besieged by the French and their Indian allies. The siege ended prior to the Militia's arrival. News of the siege's end and the atrocities that occurred after, caused the Militia to turn around. It is claimed that Arnold deserted from his unit. There is no documentation to back this up. Much of Arnold's personal history was re-written in the 19th century to make him more monstrous than he really was. His alleged desertion may be a part of that. By 1762, Arnold had become a merchant in Connecticut, he ran a pharmacy. He and a partner purchased three trading ships and began trading with the West Indies. He was on a voyage to the West Indies when news reached him about the Boston Massacre. He felt that people in the colonies were asleep and needed to wake up and push out the British. Like many business men in the American Colonies he essentially became a smuggler when the Stamp Act and Sugar Act came about. He also joined the Sons of Liberty. In one incident, Arnold and his crew brutally beat a man as members of the Sons of Liberty looked on, the man had reported Arnold as a smuggler to the British. In 1775, with the start of the Revolution at Lexington and Concord, Arnold once again joined the Connecticut Militia. He marched with his unit to Massachusetts to aide in the battles there. Arnold, while at times not listened to, had a hand in many early victories of the Continental Army. He was promoted several times and became a brigadier general after marching his unit to Quebec. It was also during this time that Arnold made some friends, mostly though he made enemies both in the ranks of the military and in the Continental Congress. He was very bold with his strategies and at times was to rash according to some. A dispute between him and another officer resulted in the other officer making hand bills declaring of Arnold "Money is this man's God, and to get enough of it he would sacrifice his country." By 1778, Arnold had been passed over for promotions due to political reasons, which George Washington sent a letter to Congress stating that it was dangerous to make promotions for political reasons, that it could be the downfall of the military. Eventually he was promoted and after an injury in one of the Battles of Saratoga, Congress granted him a return of the seniority he lost when he was passed over for promotion. This was probably a case of too little, too late as Arnold was already frustrated with the American cause and believed that it was destined to fail. In 1778, he was put in charge of the military control of Philadelphia. There he met and married a woman who was a British Loyalist and it began Arnold's move to the British side of the war. Arnold, through his new wife made contact with the British spy master. This began a lengthy negotiation between Arnold and the British spy master Major André. It took almost two years for the men to negotiate a deal, with Arnold at various times threatening to pull out of the deal because he did not like the way he was being treated. It also included a variety of information about troop sizes and locations which Arnold freely provided. Eventually Arnold was put in command of West Point, which controlled the access to the Hudson River and was of huge strategic importance. Once the deal was put in place, about two months after he took command, Arnold began weakening the defenses of West Point. All that was left was for the two men to meet face to face and for Arnold to deliver the maps to West Point as well as other strategic information. It took several attempts and eventually Arnold delivered the information. When the two met, André came by ship which was attacked after the two men met. Arnold provided documents for André to allow him to pass through the American lines and return to the British. André was caught before he could get to the British lines and Arnold's treachery was discovered. André being caught as a spy was hung. Arnold escaped to New York and joined the British Military. 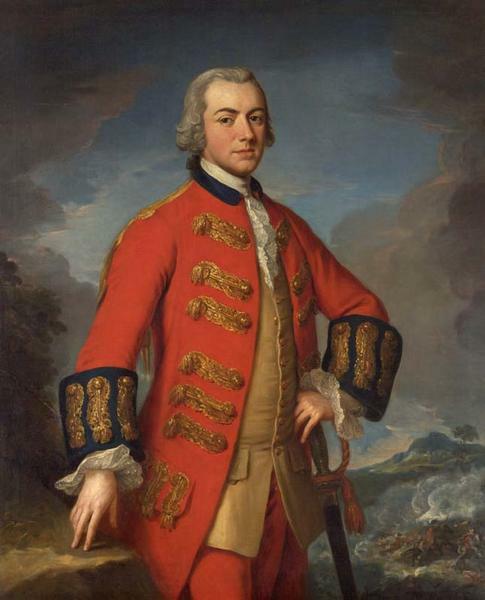 Arnold served the remainder of the Revolutionary War as a British general. Near the end of the war, Arnold served under Cornwallis and advised him to setup his command headquarters farther inland. Cornwallis dismissed Arnold's. Arnold's suggestion may have changed the war since it would have taken the French naval blockade out of the equation. Arnold was almost caught by the Marquis De Lafayette at one point as well. Washington had issues orders that if he was captured to hang him immediately. After the war, Arnold went to England and received an unpleasant reception. Public opinion about him was bad. Many in English society wanted nothing to do with him. Edmund Burke, a Freemason, spoke out against Arnold in the House of Commons stating that he hoped that the British Military would not put him in any position as to offend the honor of British officers. Arnold eventually moved to New Brunswick and found similar troubles. At one point, due to people not liking how he did business in the community, burned him in effigy. Arnold passed away on June 14th, 1801. A legend has it that on his death bed he stated "Let me die in this old uniform in which I fought my battles. May God forgive me for ever having put on another." Although it is believed that this was a made up story. Arnold was a member of Hiram Lodge No. 1 in New Haven, Connecticut. Arnold's history with the fraternity includes it's own legends. It is believed that Arnold, while selling out West Point gained the trust of various officers using Masonic modes of recognition to gain their trust. In many lodges in the United States, Arnold's name is not to be mentioned in open lodge. Despite the fact that the American colonists of the time committed what was high treason against the British crown, Arnold's betrayal was seen as dishonorable, probably due to the fact that his motivation appeared to be purely financial.